I can't figure out what is going on in this photo. 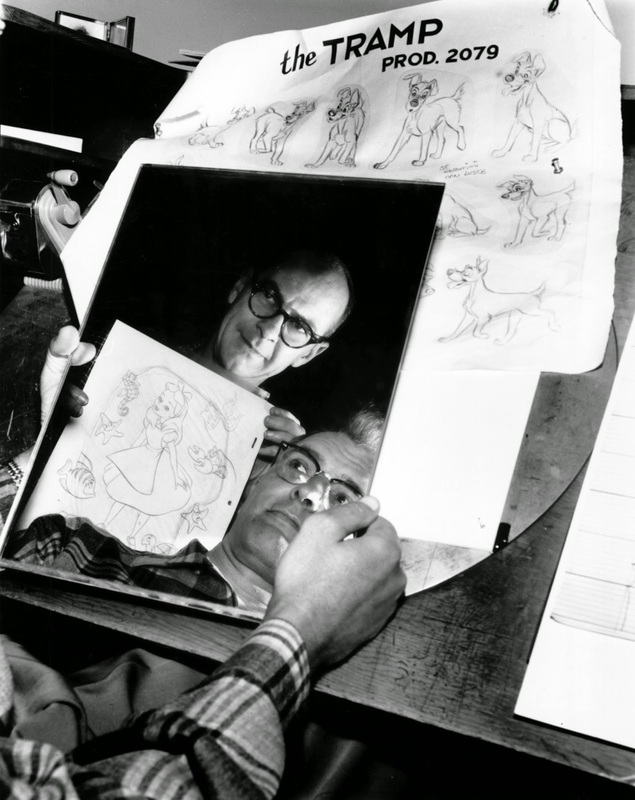 Ollie Johnston and Milt Kahl are looking into a mirror during production of Lady and the Tramp. Ollie is presenting a pretty bad illustration featuring Alice in Wonderland. What on earth is going on? 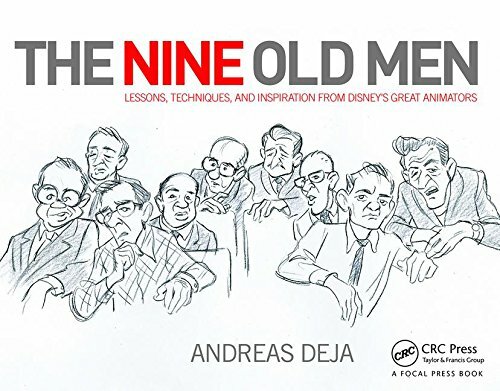 This photo is a mystery to me, but any pic featuring Disney's masters of animation is worth looking at.